Black Republicans were big winners in 2017 and they don’t even know it. I know it sounds counter-intuitive with a polarizing president like Donald Trump in the White House, but Blacks within the party and the Black community in general can benefit from a Trump presidency, if they know how to navigate the Trump world. Yes, there are major structural problems within my party, when it comes to Blacks, but just as problematic is the dearth of Black Republicans who know how to navigate the political terrain and produce something of tangible value to the party and the Black community simultaneously. 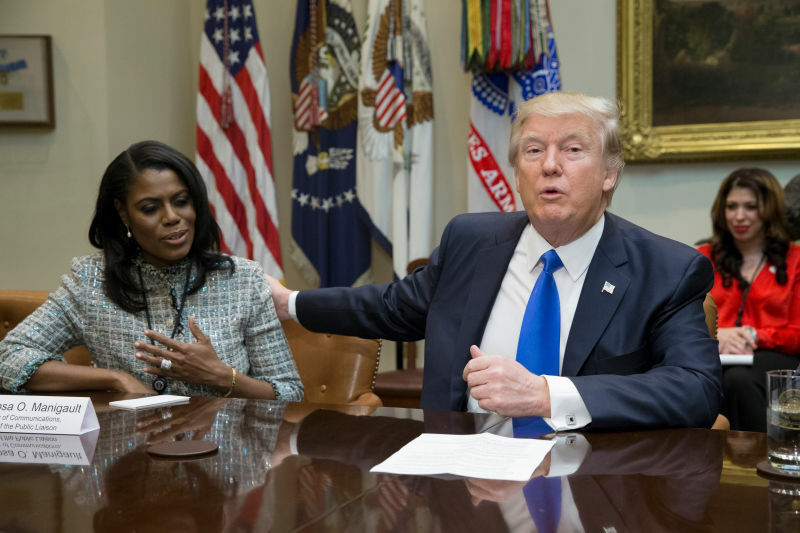 I was amazed at the number of Black Republicans who complained about how Trump’s former staffer, Omarosa Manigault Newman, “blocked” them from getting a job within the administration. If she had the power to block you, then that speaks volumes of where you stand within the party. I would be thoroughly embarrassed and ashamed, if I allowed an incompetent, political carpetbagger like Omarosa to deny me anything from the party I had spent years working in. Like truly weak people do when they watch the demise of their enemy, these Blacks shouted to the top of their lungs “the wicked witch is dead,” upon hearing of the firing of Omarosa. Really? Now that she is gone, now what? Exactly. Absolutely nothing will or has changed for Black Republicans. Now, juxtapose that with what we accomplished in 2017 with our super PAC Black Americans for a Better Future. 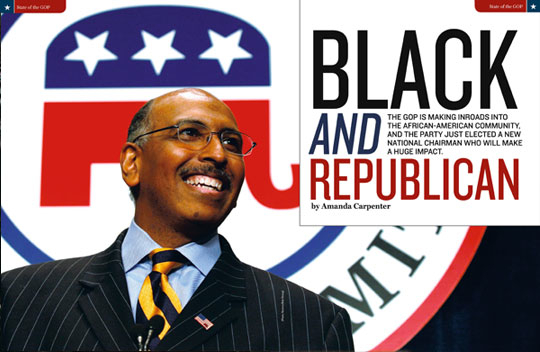 Our PAC is set up to get more Blacks involved in the Republican Party, but we focus strictly on the Black entrepreneur. Period. We have more than proven that our model of engaging with Black entrepreneurs works; this explains the phenomenal success we had last year. We were able to do things, which have not been done in recent memory, if at all, within the White House and Congress. In September of last year, we hosted our first annual economic policy summit on Capitol Hill. Members of congress and several major private sector executives participated in our event. Trump’s former campaign manager, Corey Lewandowski was our keynote speaker. The theme was, “A Republican Vision for Creating Opportunities for Black Entrepreneurs.” Each speaker made specific commitments to open doors of opportunities for these business owners to do business with the government or the private sector through proper introductions. In business, people tend to do business with people they know. In October, we did a “Faces of Tax Reform” roundtable with Congressman Cathy McMorris Rodgers (R-Wash.). She is the House Republican Conference Chair, making her the number four ranking member in House leadership. She hosted several minority entrepreneurs at the U.S. Capitol to discuss how the Republican tax reform plan would help small businesses, entrepreneurs, and families. Along with these minority entrepreneurs, President Trump sent my longtime friend Kellyanne Conway, Counselor to the President and Jovita Carranza, the U.S. Treasurer to participate in the program. We ended 2017 with a major luncheon with keynote speaker Steven K. Bannon, former White House Strategist and current Breitbart Executive Chairman. We gathered north of 250 people to hear him talk about “A Republican Vision for Minority Business Growth.” Bannon’s speech received massive media coverage. Last year, I was asked by the White House and Congressional Republicans to meet with members and staff about what we wanted to see in the tax bill that was of interest to the small and minority business community—another reason why last year was so historic. For those who don’t follow politics closely, it is unheard of in either party for Blacks to be at the table as legislation is being written. We were not only asked to be at the table, but some our issues actually made it into the final bill that President Trump signed last month. This never happened with former President Obama and Black businessmen. We fought hard to keep the New Markets Tax Credit (NMTC) in the bill and we got it. The NMTC gives incentives for investors to invest in inner city communities. This was a major win for Black entrepreneurs. Congressman Cathy McMorris Rodgers, Corey Lewandowski, Steve Bannon, Kellyanne Conway, and Harry Alford, head of the National Black Chamber of Commerce, were all instrumental in us achieving this historic success. What some Black Republicans fail to understand is that we will never achieve success in this party unless our agenda is part of the party’s agenda. Far too many Black Republicans come to the table only with their “own” agenda without regarding the party’s agenda; it’s no wonder that they are ignored. We have been meeting for weeks about the upcoming infrastructure bill that President Trump wants passed this year. I challenge all these Black Republicans who are constantly on TV to tell us what they have done to align their “personal” agendas to the agenda of Congress or the White House. I challenge them to ask themselves, how their agenda is relevant to the mission of the party: to win more elections. All of my activities are about increasing business opportunities for minority entrepreneurs through our control of the federal government and influence within the private sector. We have proven that this is a winning strategy and very relevant to the White House and Congress; thus, we have been asked to continue to be involved in the process. This is how we, as Republicans, can grow our party. Hey Buddy!, I found this information for you: "OPINION: If Omarosa “Blocked” You, You’re not a Real Black Republican". Here is the website link: https://blackmeninamerica.com/opinion-if-omarosa-blocked-you-youre-not-a-real-black-republican/. Thank you.